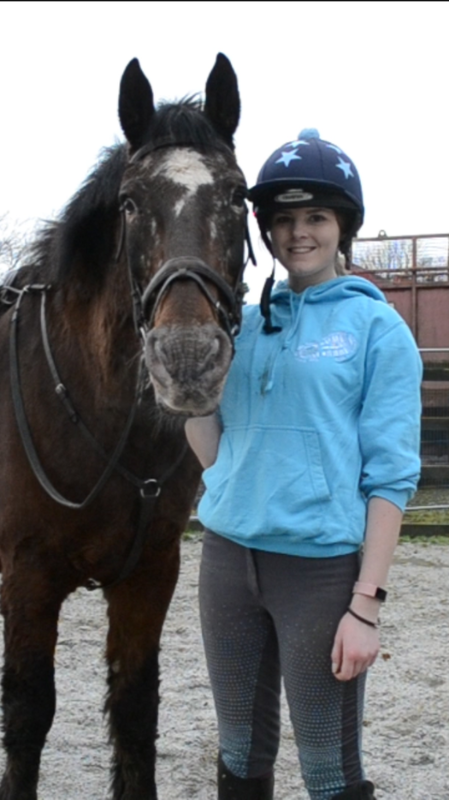 Ever since I started riding it was always a dream of mine to be a stable girl and to work on a yard, not necessarily as a career but certainly throughout my teenage years. At the age of 10 I joined a hacking yard located on Exmoor and fell in love with the freedom of hacking, especially across the moors and along the famous North Devon coastline. At the age of 13 my long-standing dream became reality, I was officially an employee on the yard, however 5 years later I am now currently in very different employment. I left the yard at the age of 16 so in total I spent 6 incredible years there and can whole heartedly say I gained invaluable experience in the horse industry and do not regret a moment. From 10 to 13 I started off by paying to ride and then working for my rides. This was a great way to start as I was always under close supervision but it meant I could start to learn the ropes of day to day yard life in a safe environment. From 13 to 16 I started to learn to run the yard on my own which was crucial for developing many of the skills I have now, eg.to expect the unexpected with any horse or pony! So, if I loved it so much, why did I leave? 1-We all know the equine industry is expensive…this meant I was on a fairly low wage for my age category and I was getting to the stage where I needed to be paying towards things of my own. 2-The yard is only a hacking yard, and as much as I loved that, I felt like I’d gained all the experience that I was going to. 3-Personal circumstances; Having damaged my spine 6 months before I left meant that working with horses was slightly more strenuous than it was previously. My employers were very forgiving and allowed me to have all the time off I needed to recover but the damage was still done. Now onto my new jobs…I initially started new employment at a local boutique hotel, I’m still happy there and I’m about to start my 3rd season with them. Alongside this, I picked up a winter job (2016/2017 winter) at a local pub but love it so much I shall continue with them through the season and have 2 jobs! So, what are the bonus’? 1-Having a much higher wage means I can afford so many more things that I previously couldn’t, allowing me to spoil the horse I exercise with new rugs and numnahs etc. 2-It has really brought me out of my shell by forcing me to put myself outside of my comfort zones, I used to be quite shy but now I love my new-found confidence with the general public! This has proved a crucial skill for my university interviews. 3-Where would you rather be in the middle of winter; in a nice cosy pub with a wood burner or freezing in the snow on Exmoor? (I definitely needed my Tottie Holly winter breeches back then!) I know where I’d rather be and I do not miss those heavy sodden rugs in the mornings! As much as I miss seeing all my favourite ponies every week I do not regret my decision to change employment. I am lucky enough to still be in good contact with the yard owners, allowing me to regularly return to help and ride whenever I want to.